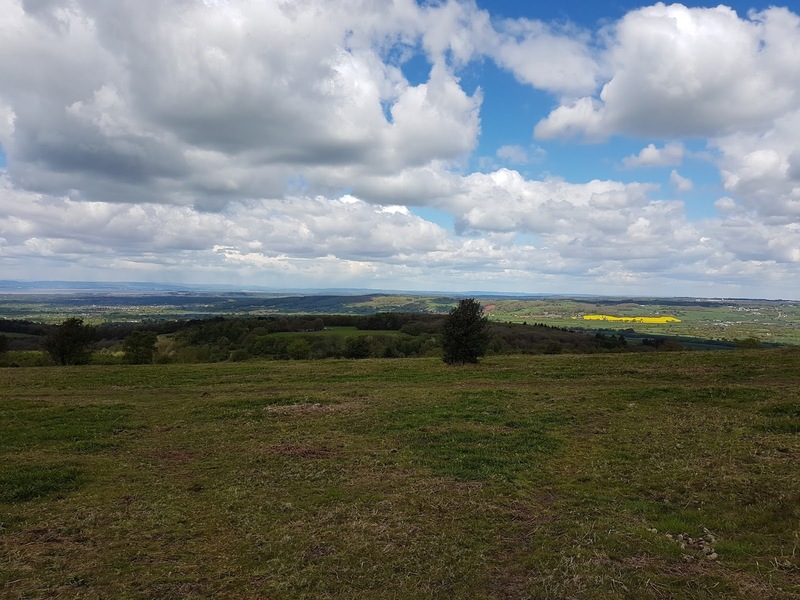 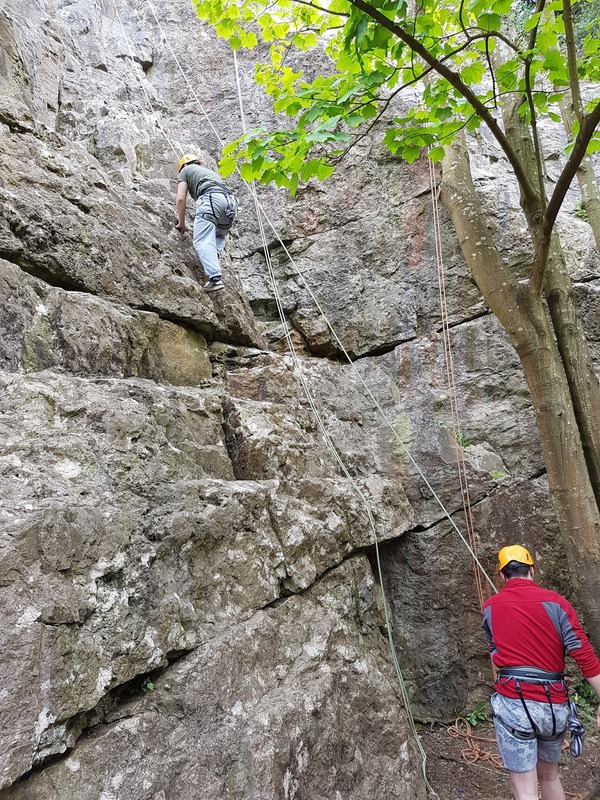 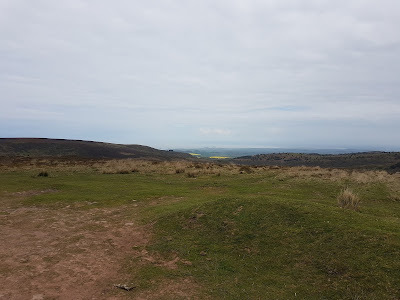 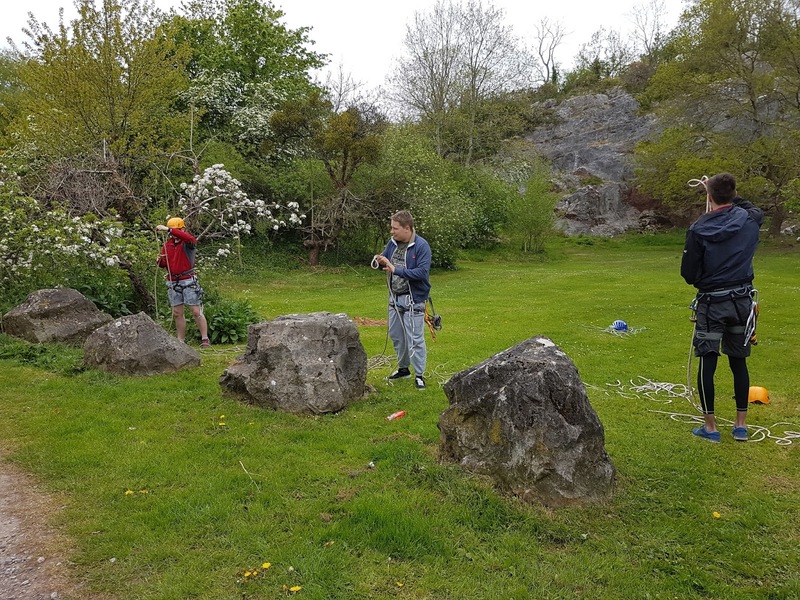 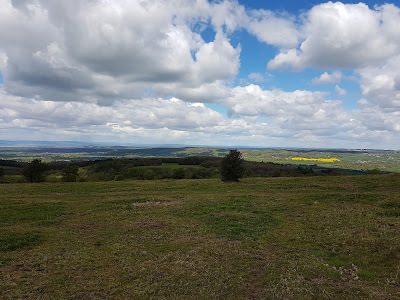 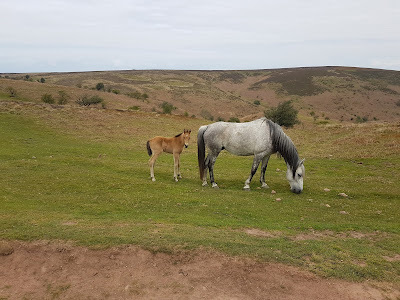 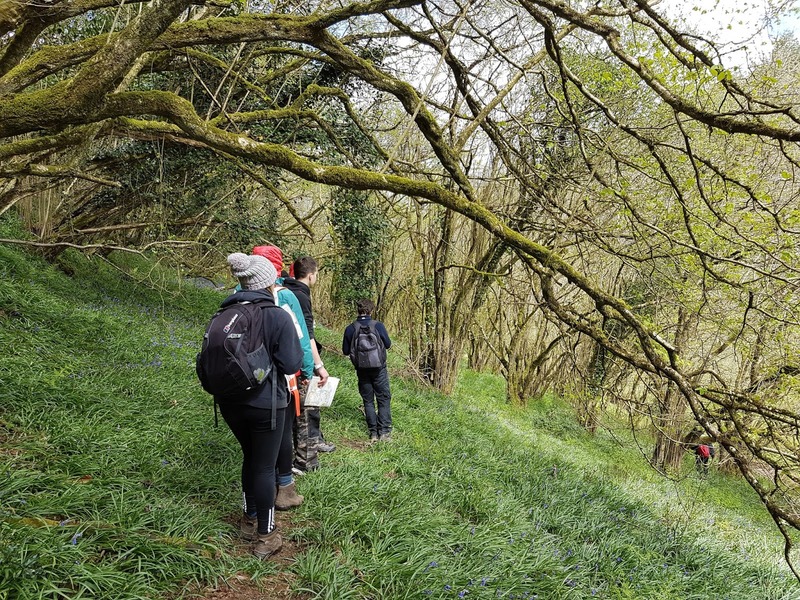 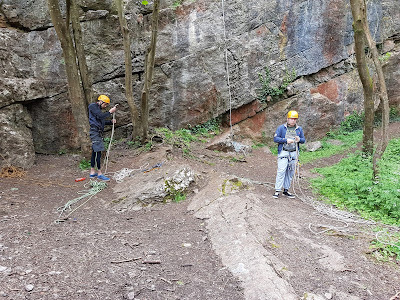 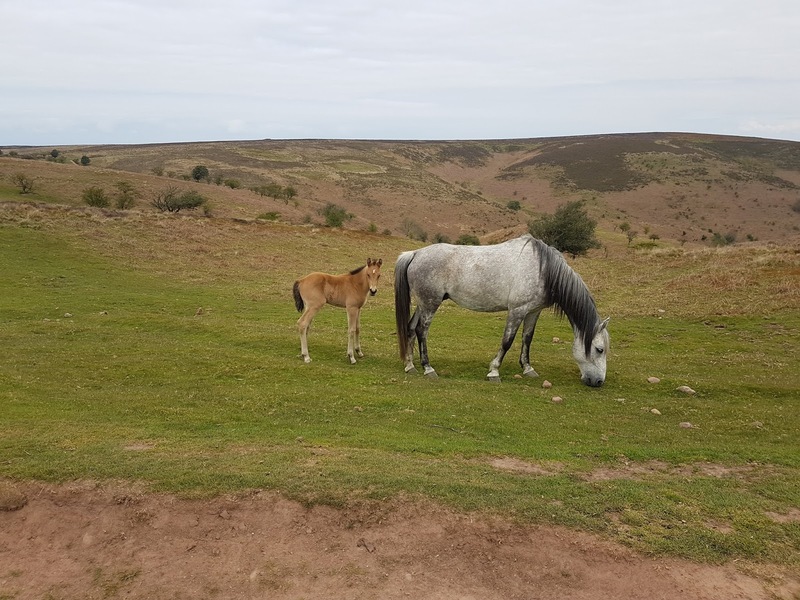 Out at Goblin Combe Car Park crag today with my L4 Public Services students from Bridgwater and Taunton College. 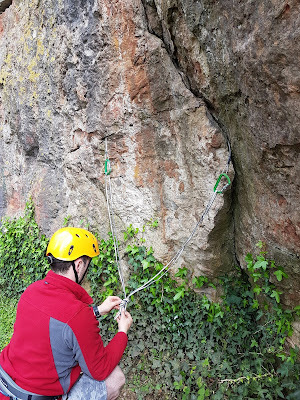 The aim of the day was to learn how to set up climbs. 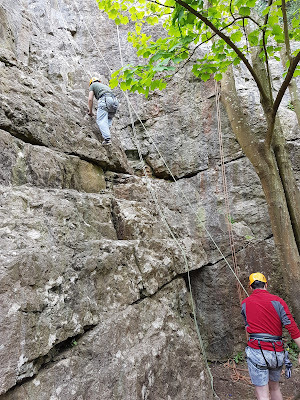 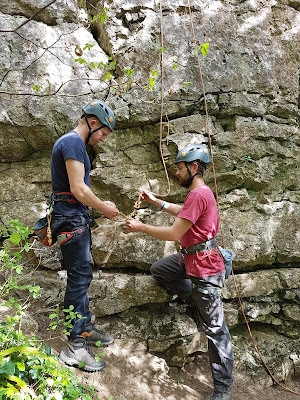 We used trees, boulders, stakes, rock gear, slings and static ropes and then discussed the pro and cons of each. We even had time to climb and it was the first time they had ever climbed on routes they had picked and set up on. 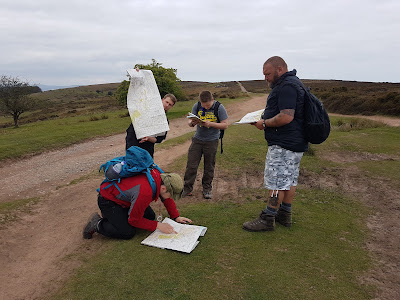 A few lessons were learnt on route choice as well. 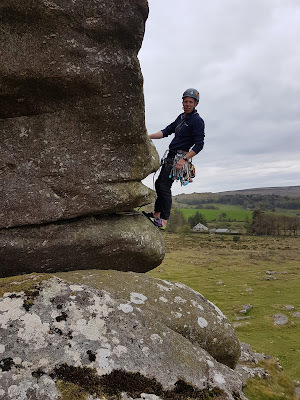 After a day out assessing climbing instructors, I stopped in Tiverton on the way home to introduce my sister to SUPping. 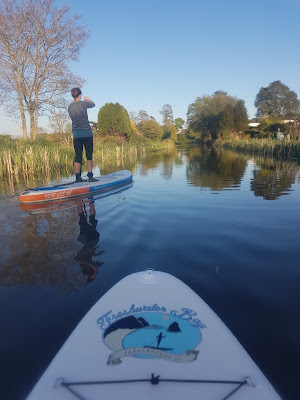 A zero wind, warm evening on the Tiverton Canal was a perfect introduction and the Freshwater Bay Paddle Boards that I borrowed from the Wet and High Adventures kit store performed extremely well being both stable and responsive. At Chudleigh (South) in the sun today directing a Single Pitch Award assessment for Wet and High Adventures. 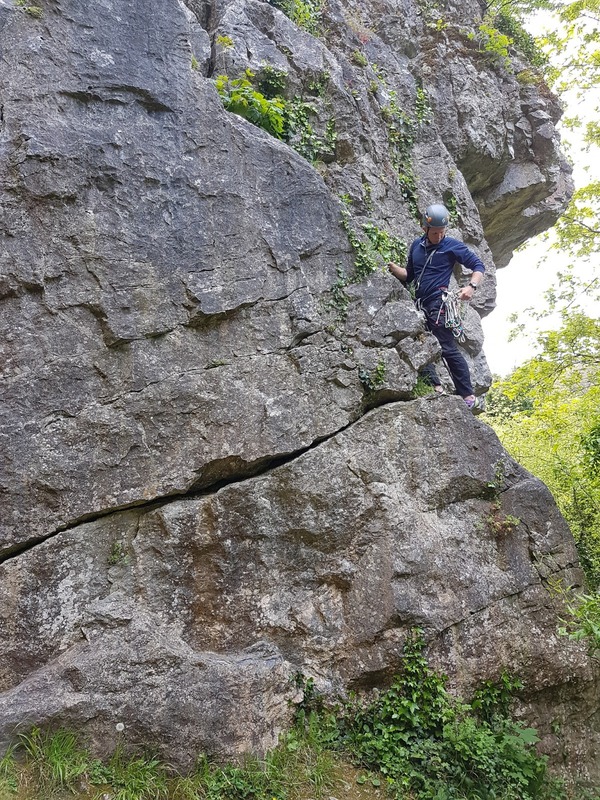 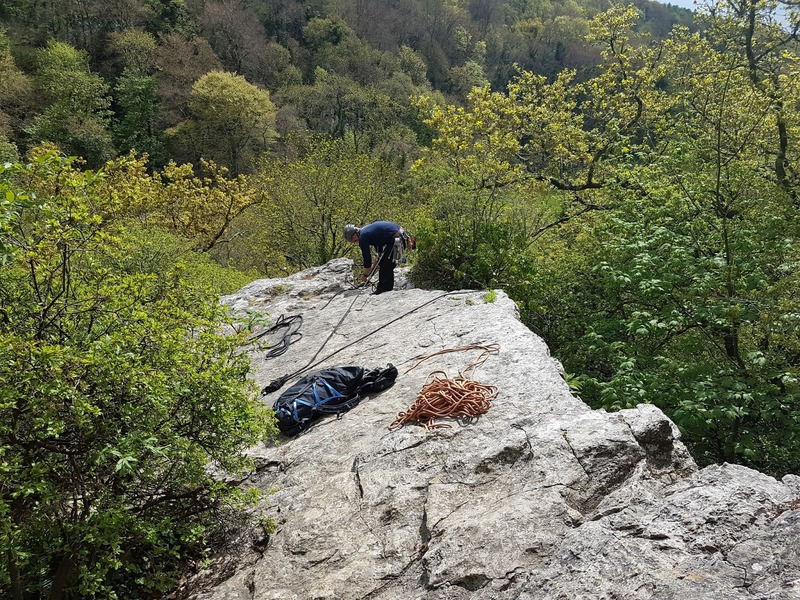 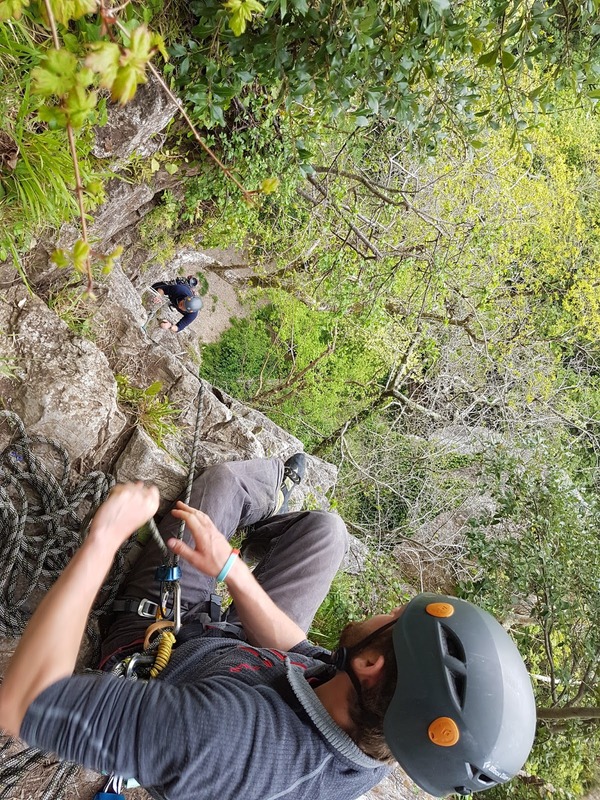 A day of lead climbing and some bottom roping on somewhat polished limestone. 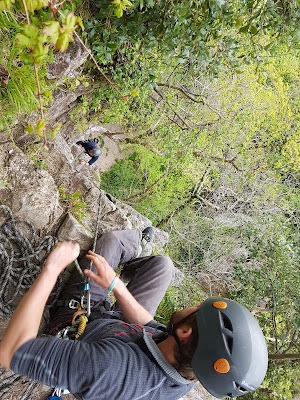 The day just got warmer and warmer so was down to t-shirts by the end. A session at Dart Rock climbing wall finished of the day nicely. 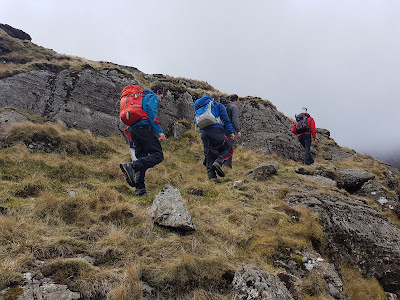 Today was the second day of the Mountain Skills course I was running for Wet and High Adventures. 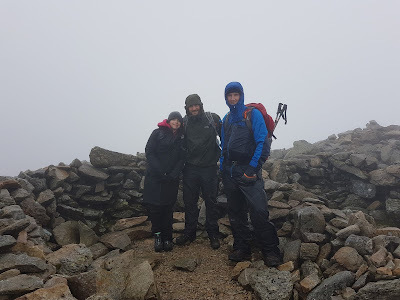 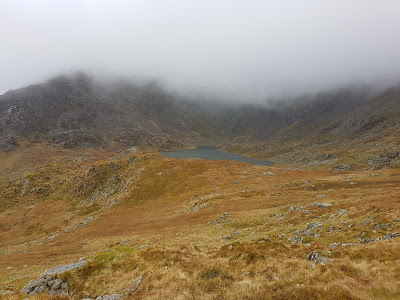 It was definitely a wet an high day with drizzle a mist all day but we summited Pen Yr Ole Wen and Carnedd Daffyd all the same. 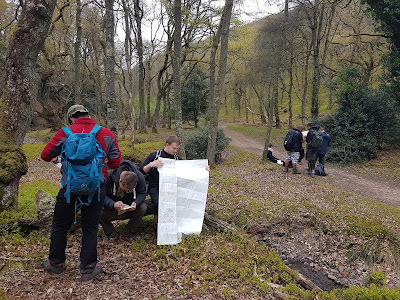 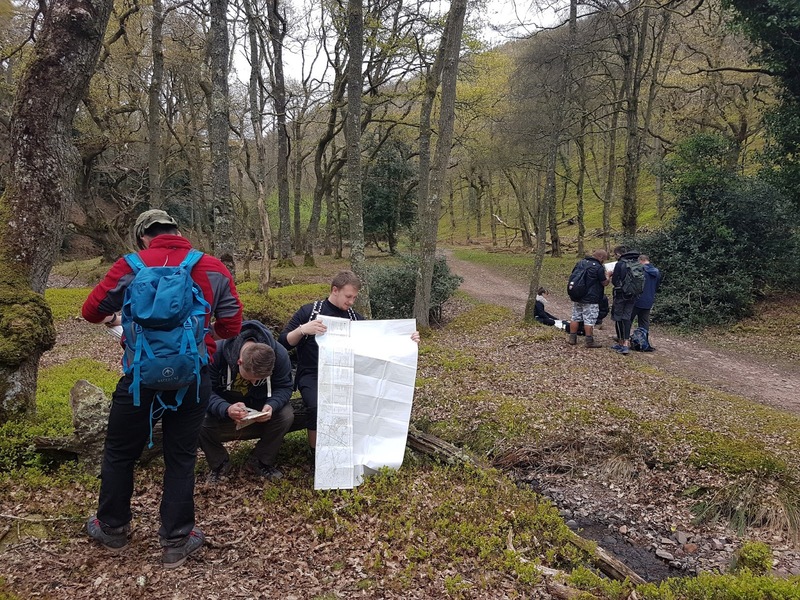 Lots of navigation and discussion on route. 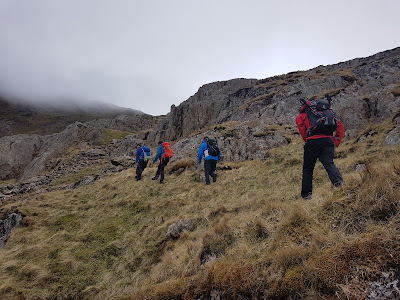 After a couple of non hill days doing admin and debriefing Mountain Leader candidates, today I was back out running the first day of a Mountain Training Mountain Skills course for Wet and High Adventures. 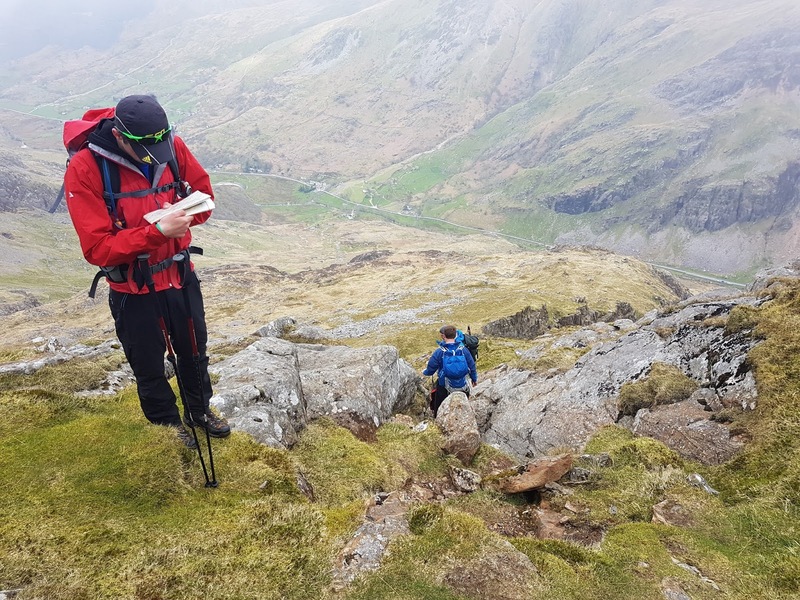 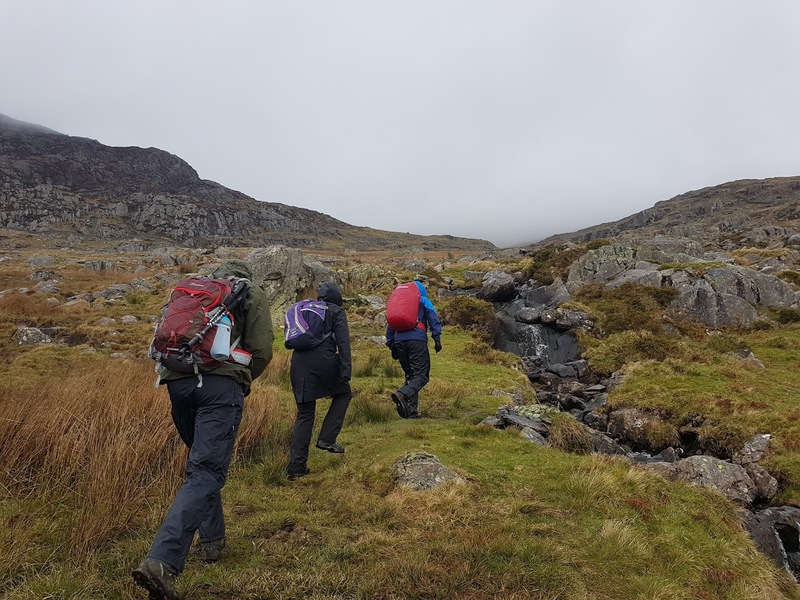 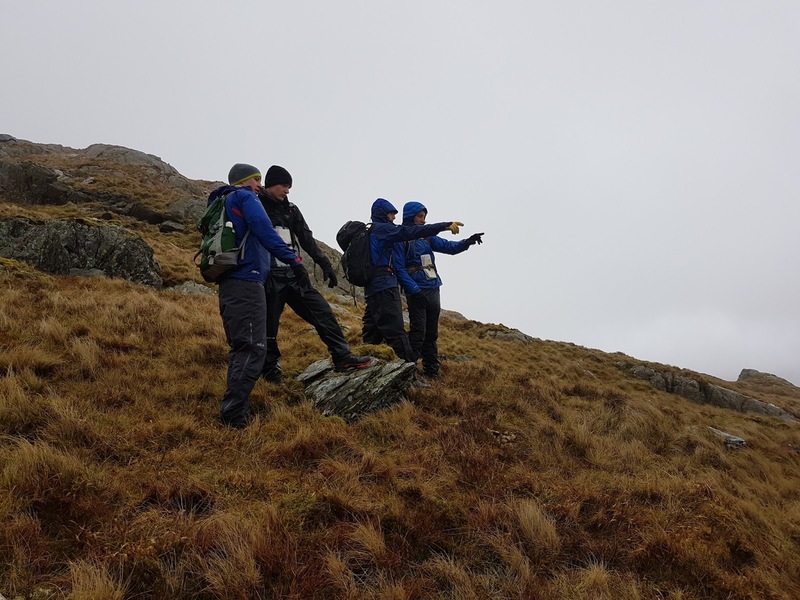 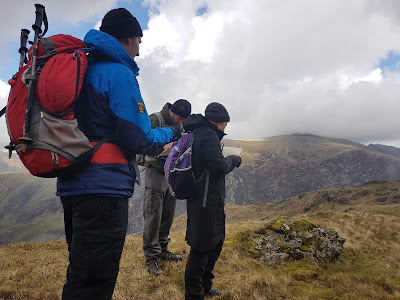 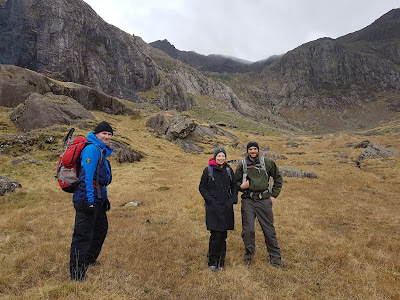 After about an hour in the classroom we headed up into Llanberis Pass to look at navigation, emergency procedures and some environmental knowledge. 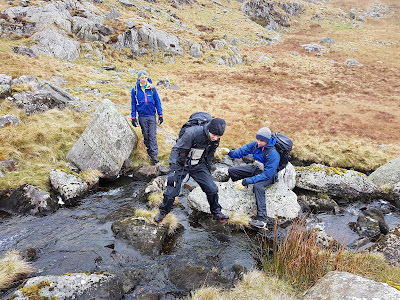 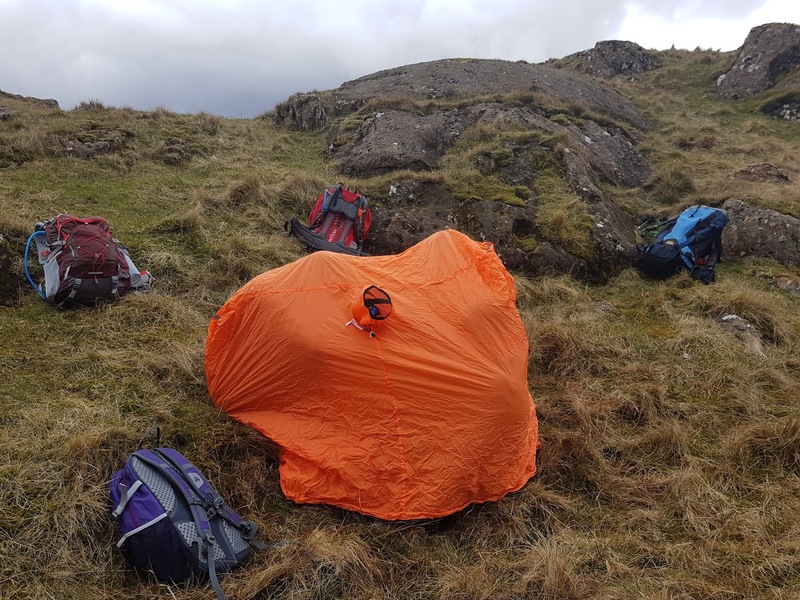 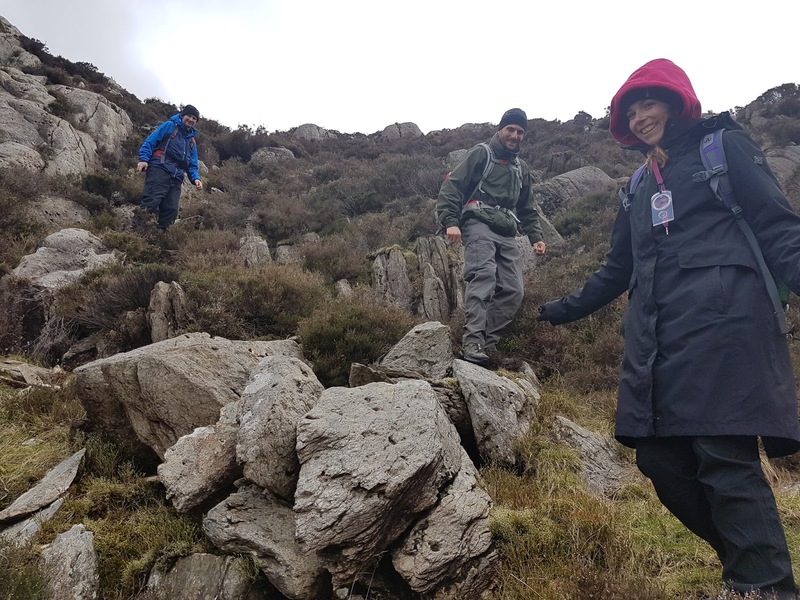 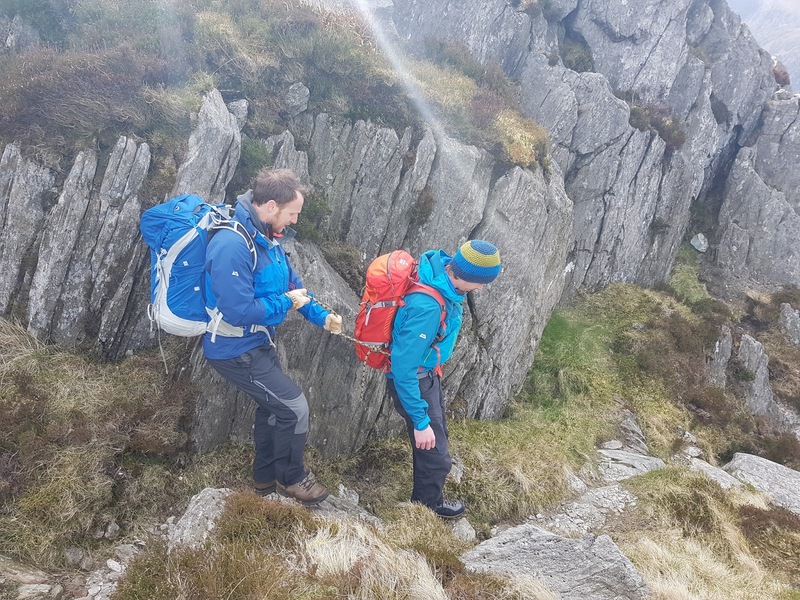 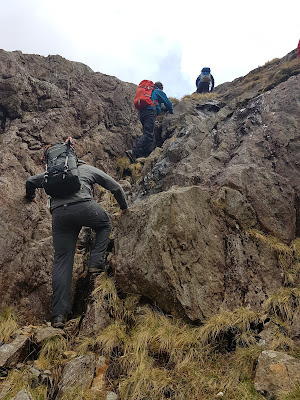 Having left the assessment candidates in the capable hand of Jake for their expedition, I was back out with the Mountain Leader Training course today that I am running for Wet and High Adventures. 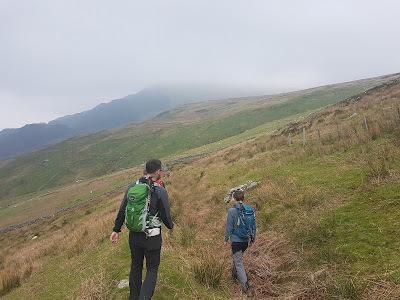 Today we were up on the Carneddau looking at 1:50k navigation plus the loads of flora, fauna and geological facts. A little wet and windy at times but that help with the navigation practice. 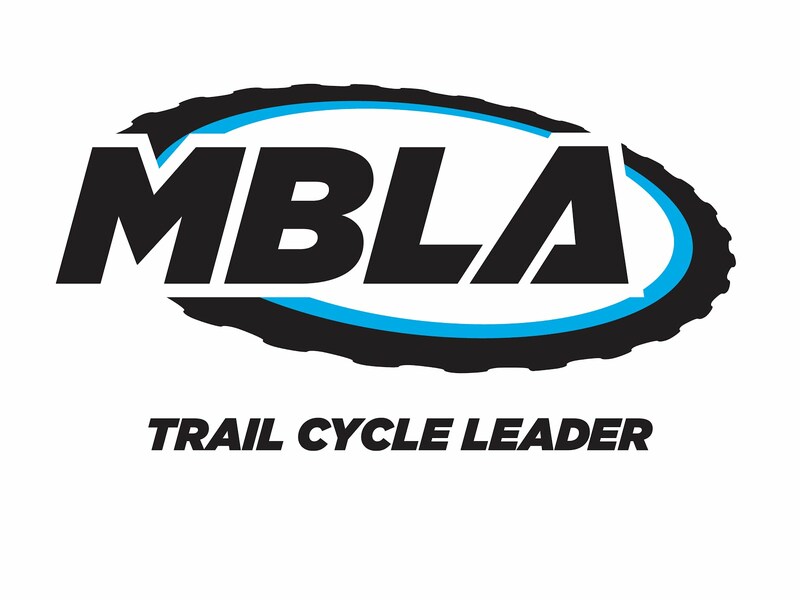 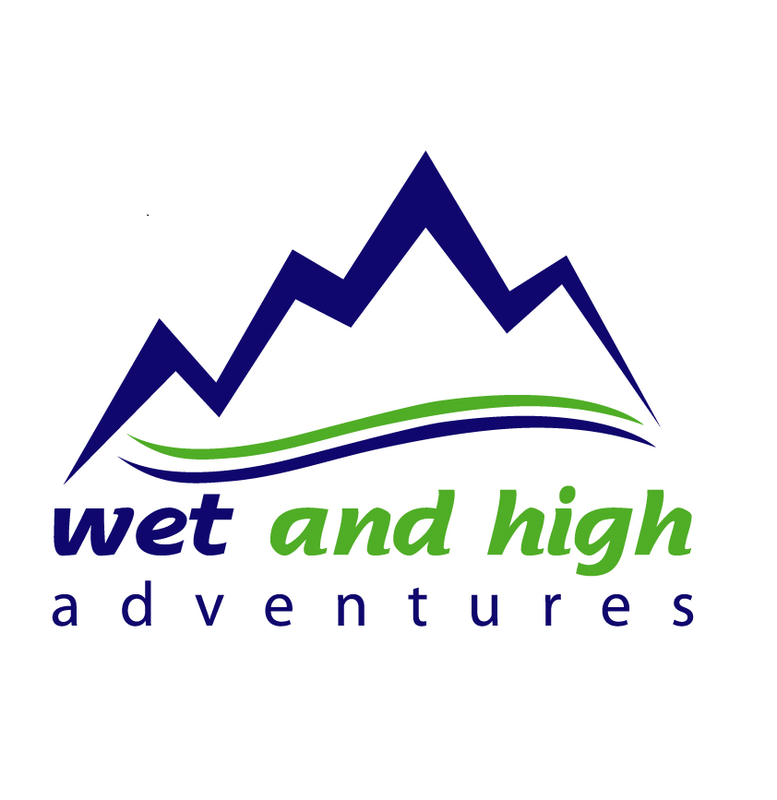 Today was the second day of the Mountain Leader Assessment I am directing for Wet and High Adventures. 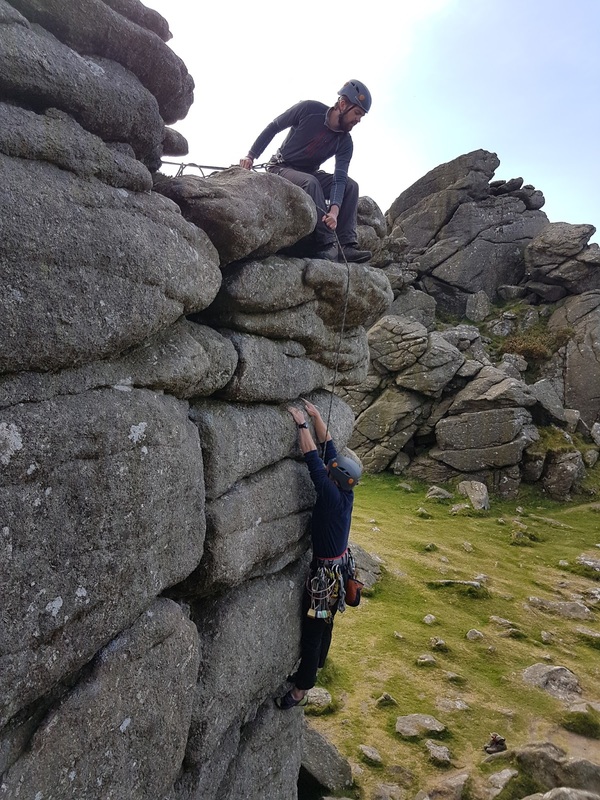 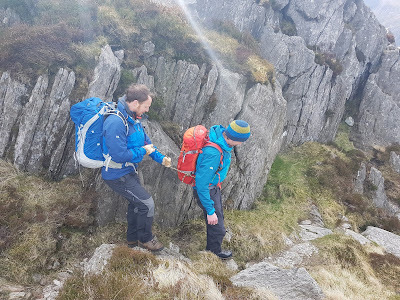 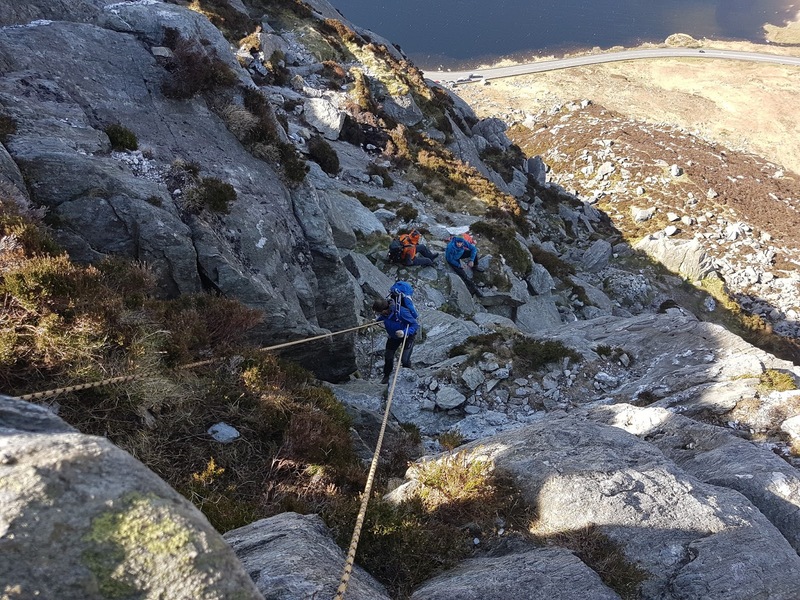 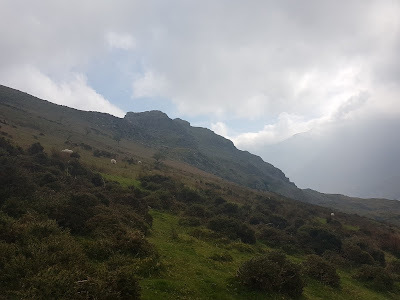 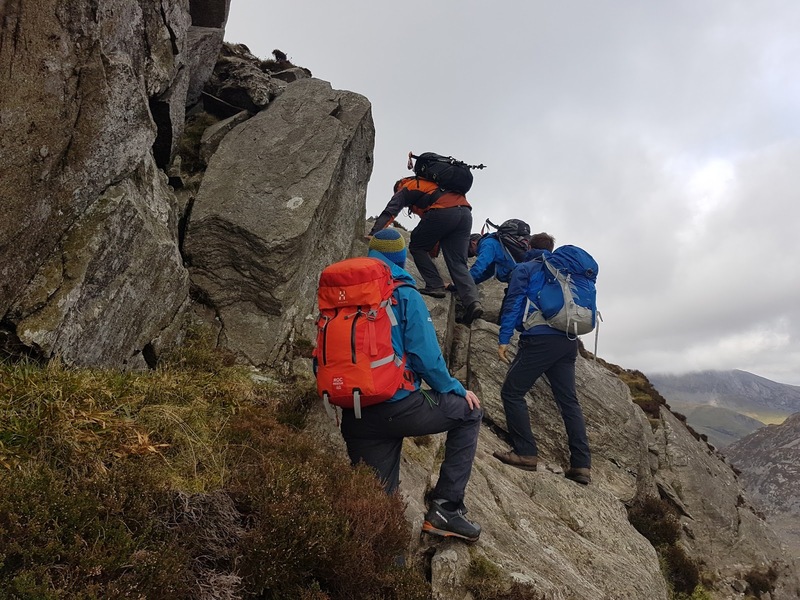 The north ridge of Tryfan was the classroom for the day where the candidates demonstrated how to look after a group on steep ground including using a rope when necessary. Today I was out running the first day of a Mountain Leader Assessment course for Wet and High Adventures. 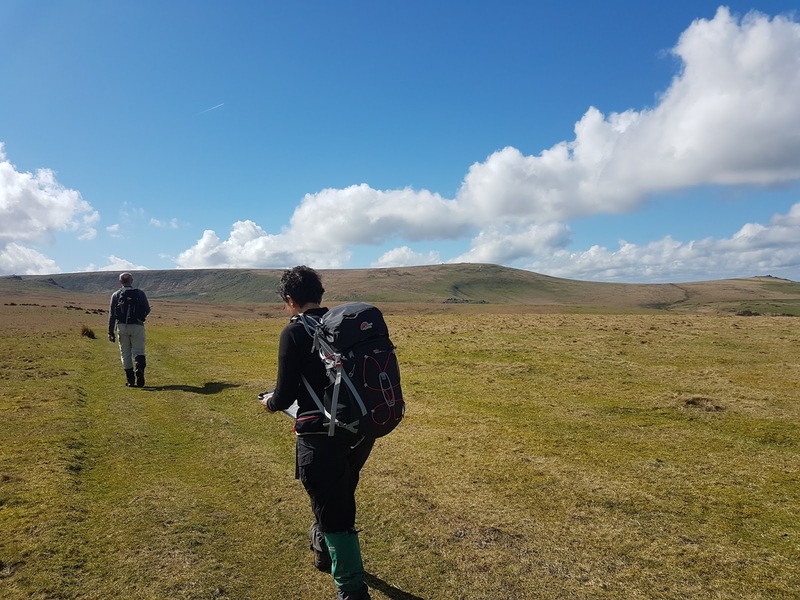 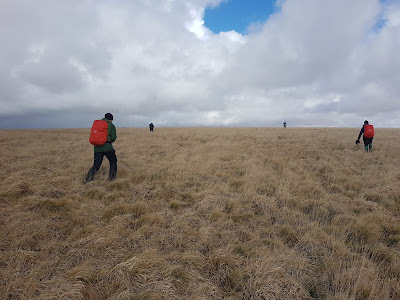 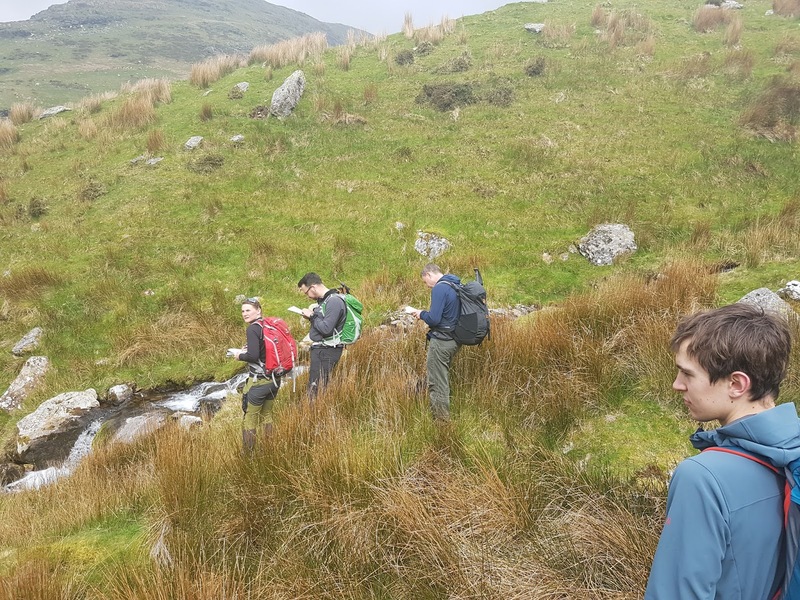 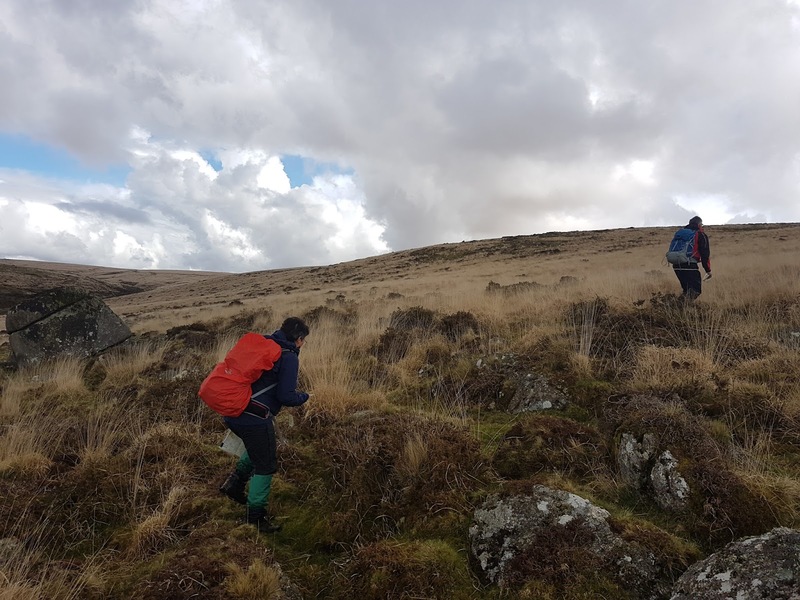 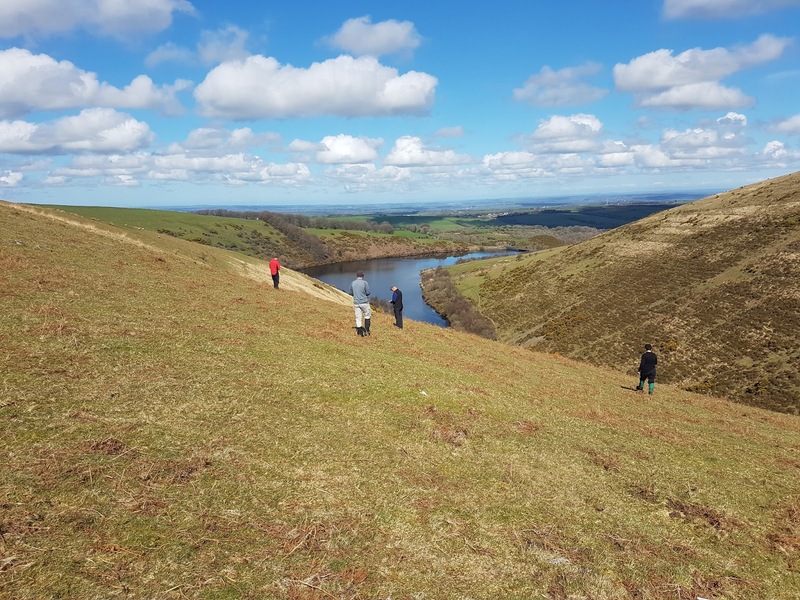 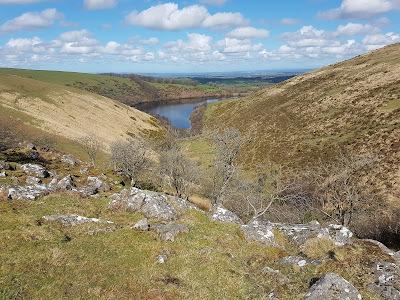 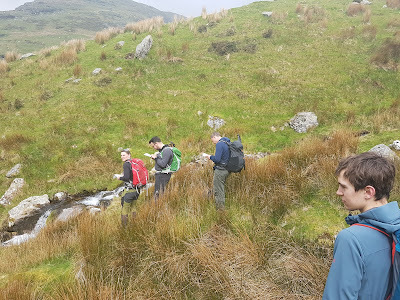 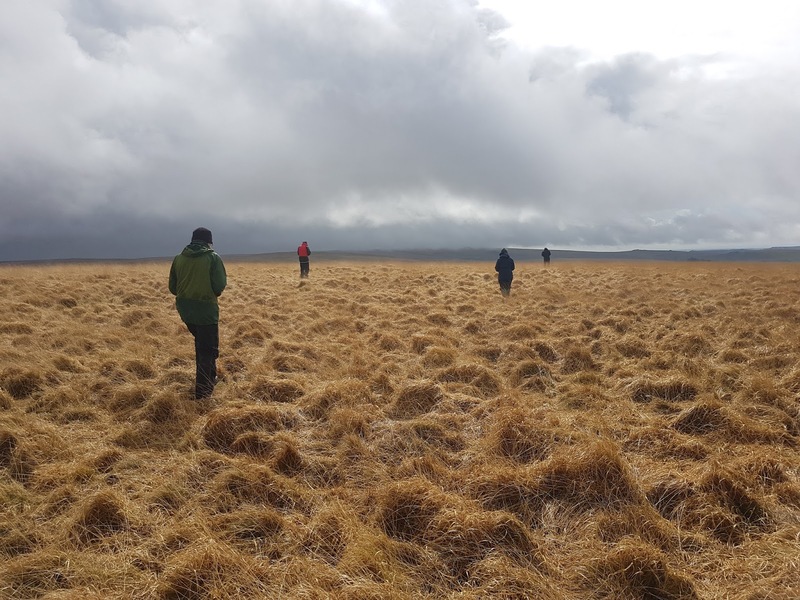 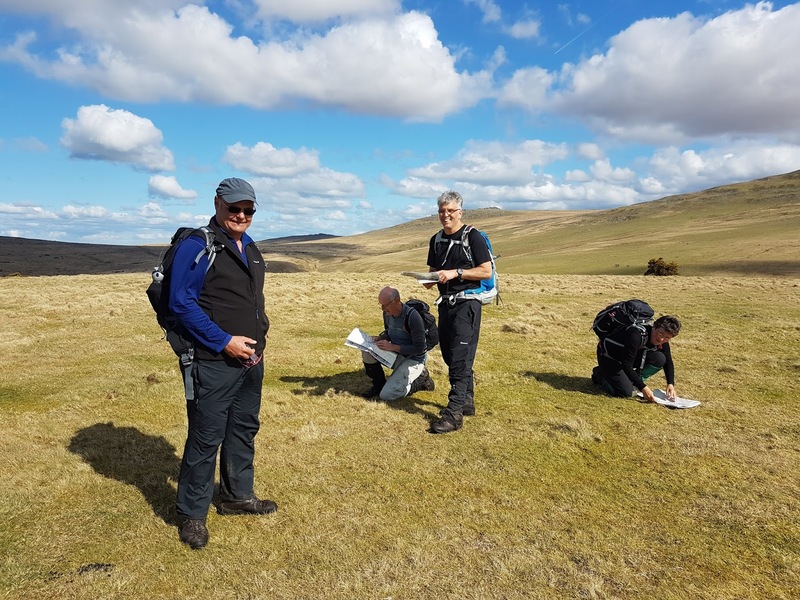 4 candidates on the course and today we headed up into Cwm Glas area looking at navigation, environment and group management. Today I was out working on a Mountain Leader Training course for Wet and High Adventures in Snowdonia. 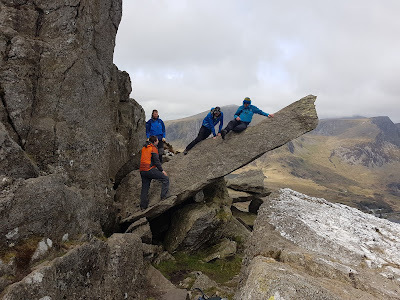 8 candidates in total so half with me and the other half with Keith. A dry day looking at navigation in Llanberis Pass. 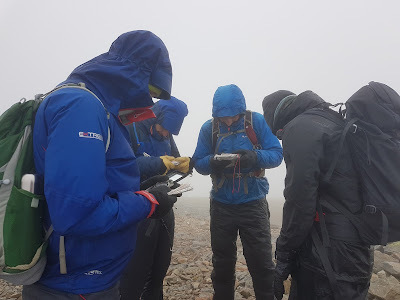 This was the second day of the NNAS Gold Training course I am running for Wet and High Adventures. 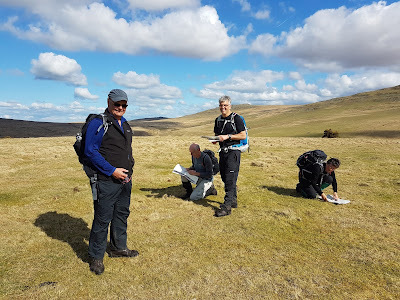 Blue sky, small contours and sun were the main contributors to the day. 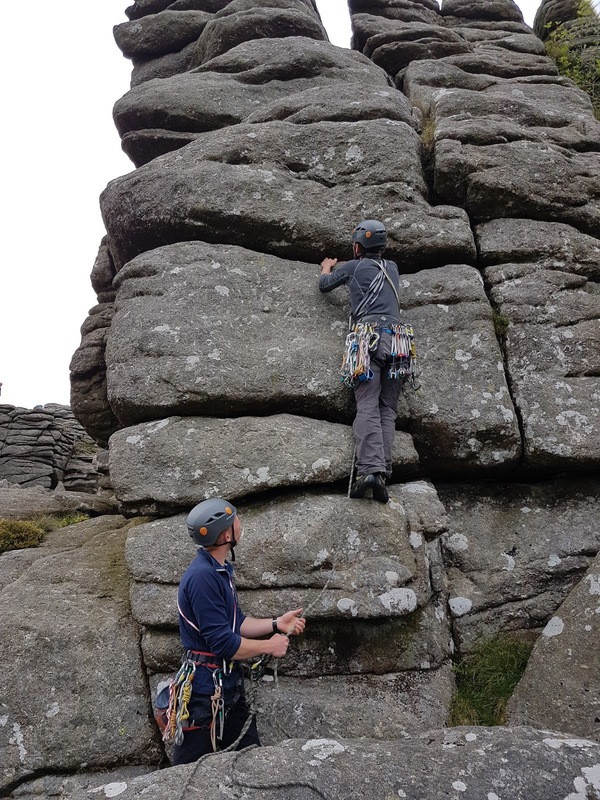 4 great candidates over the last 2 days have picked up loads and are looking to consolidate before coming to assessment. 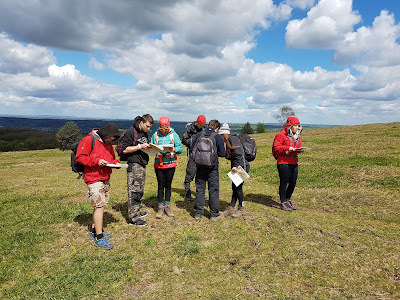 Hope to see them all soon for assessment. After a week on Exmoor it was nice to be somewhere different today. 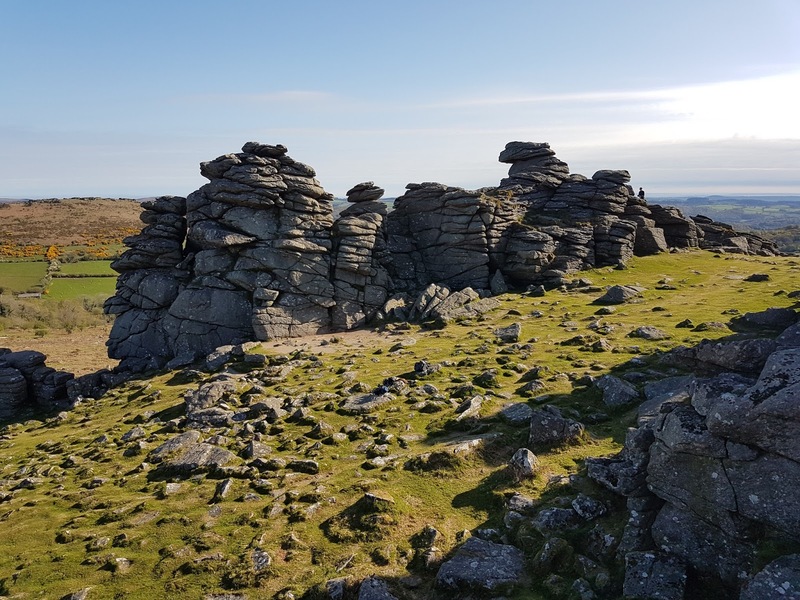 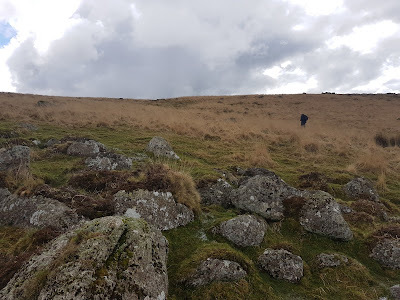 Dartmoor it was for day 1 of NNAS Gold Training I am running for Wet and High Adventures. 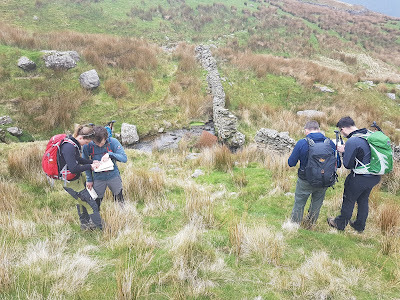 4 keen candidates and lots of intricate and difficult navigation gave us lots of scope for trying out different techniques. 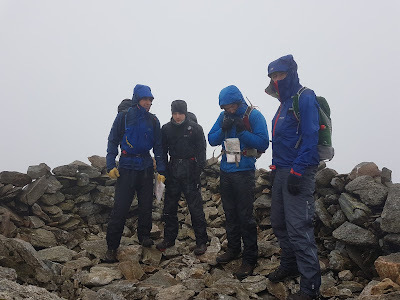 Even the rain was short lived so didn't dampen the spirits.